Russian Communist leader and presidential candidate Gennady Zyuganov has called on his supporters to win the “war” for fair elections and did not rule out a run-off in March poll if voters actively take part in it. 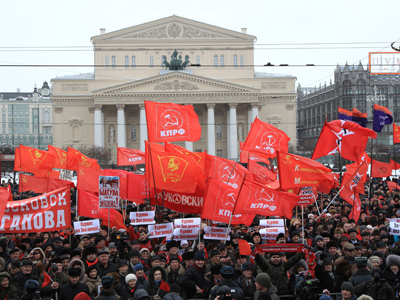 “The more people come and cast their ballots, the more possible a second election round is,” Zyuganov said at a meeting of the Communist party (KPRF) supporters on Moscow’s Theater Square. 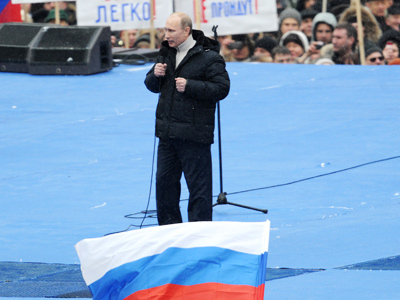 He stated that “under no conditions” would Vladimir Putin win in the first election round if the poll is fair. Traditionally, the presidential candidate criticized the ruling power. 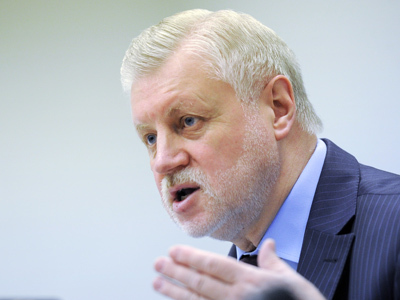 He recalled that the USSR was among the top-five countries in science, education, and security, while now Russian specialists have to work abroad, as many enterprises and research institutes have closed down. “Only a smart and professional” team can defeat this “evil spirit,” Zyuganov stated, adding that his party has created such a team. In the case of victory in the elections, the KPRF head vowed to introduce a state monopoly on vodka production, free education, progressive income tax, and the same benefits for WWII children as there are for veterans. Zyuganov also promised a nationalization of raw material industries, which are now in hands of “oligarchs,” whose incomes “are 400 times higher” than those of ordinary people. At the beginning of the meeting Zyuganov was presented a Russian sward. Also, the president of International Taekwondo federation, Sergey Kovalev, announced that the KPRF leader would be given a black tae kwon-do belt. 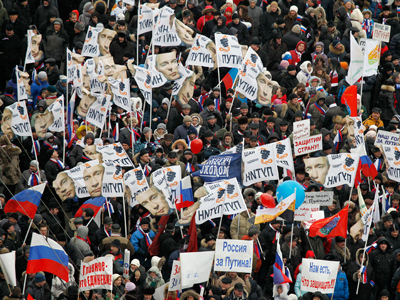 According to Moscow police, about 2,000 people took part in the gathering. 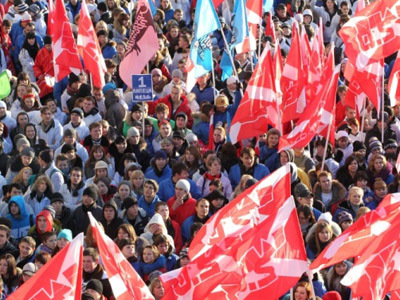 The organizing committee of the event, though, claims that up to 10,000 KPRF supporters came to Theater Square, reported Interfax. Similar meetings were held on Thursday in other Russian cities.